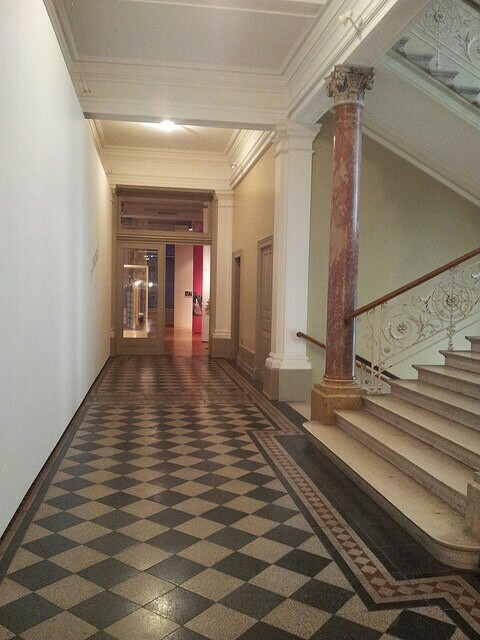 About a month ago I went to the Textile Library in St. Gallen. The library is located in the Textile Museum, and holds a huge collection of books including anything that may inspire textile designers, from Anatomy to Zoology and anything to do with textiles and the needle arts. Naturally, the Textile Library also has a selection of quilting books,which can be accessed by the public and borrowed. However, as quilting isn’t so popular here in Switzerland or rather in St. Gallen, their collection of these is rather small, relative to what you may find in other textile libraries around the world. To clarify, I am only talking about what they actually have on their shelves at the particular time I was there, and what is easily accessible to the public, as I did not look at anything in storage. 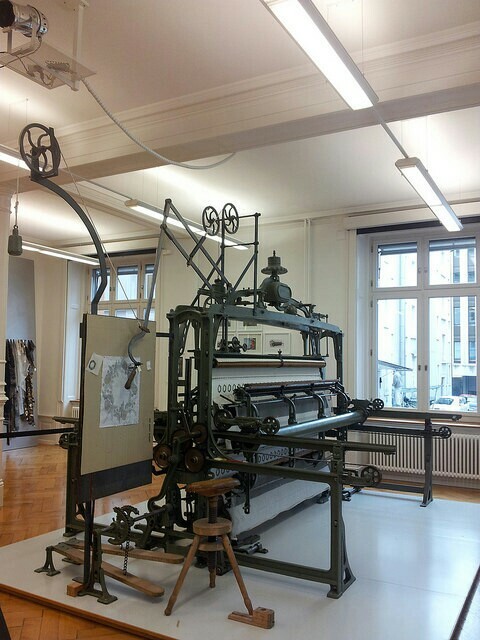 I love going to the Textile Library as it is a little haven in the city of St. Gallen, nestled amongst the bustle of the busy shopping street outside. On this visit I decided to change my existing library membership to a membership which includes being a member of the museum as well. 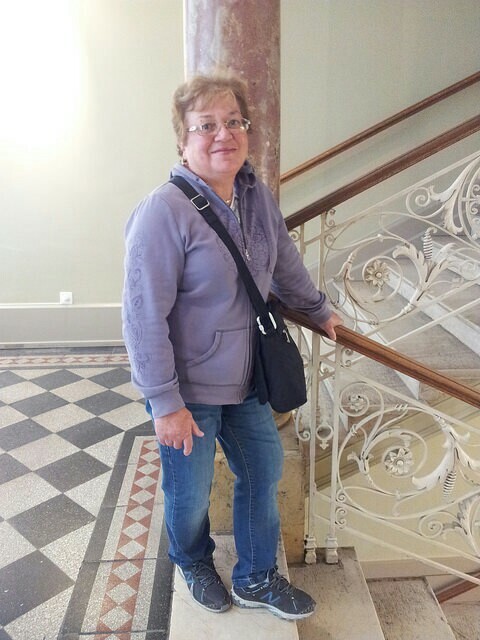 My mom was with me that day and so I took the chance to visit the part of the museum open to the public for free and give her a quick tour of the library. After all, I was there to take out some books which we could check out at home, when we had more time and I didn’t want to rush her through the exhibits. 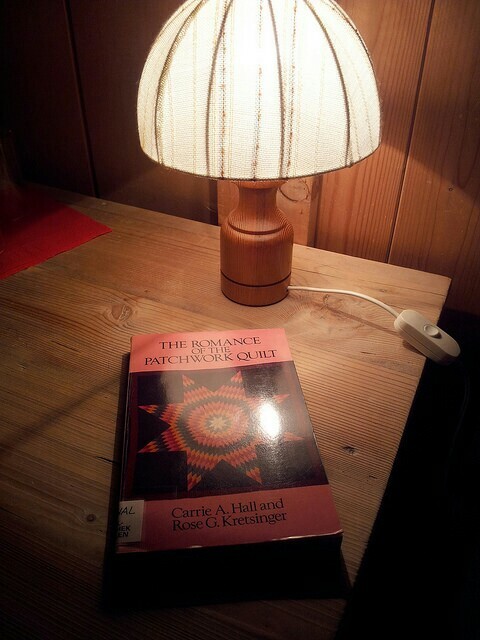 One of the books I took out on that visit was the book “The Romance of the Patchwork Quilt” by Carrie A. Hall and Rose G. Kretsinger. I am currently reading this book and am really enjoying it. The first edition of this book was published in 1935 by The Caxton Printers, Ltd. Caldwell, Idaho. To view this book on Amazon, click here. To view this book in Good Reads, where you can get further ratings, please click here. I must say I am loving this little, paperback piece of the past. I knew when I saw it, it was the perfect bedtime reading book, something that would satisfy my need to indulge in everything quilty without being too heavy (meant both literally and figuratively!). I must say, that ever since I heard a quilt podcast on the importance of documenting quilts, on Sandy’s Quilting for the Rest of Us podcast (click here to go to that page) I have been having, what I guess you can say, a little ‘affair’ with quilt history. I say affair, because it is something I am a bit ashamed of. After all, the last time I showed an interest in history, was in university. So why start now?? I guess I am ashamed because I find I am ‘cheating’ on my quilting. 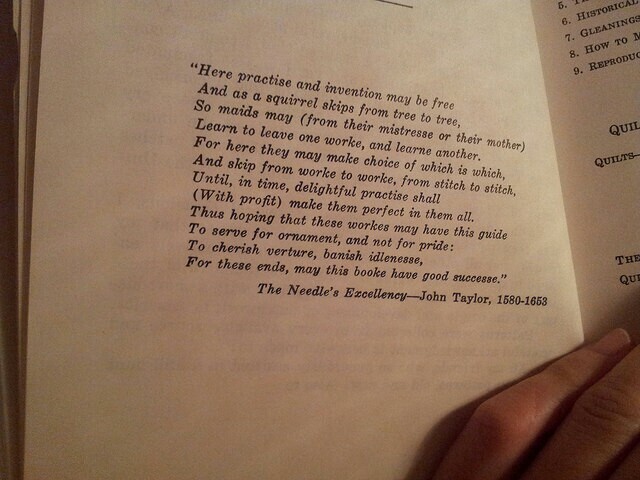 I mean spending time with quilt history takes away from valuable quilting time. Do you know what I mean? And I guess I am a bit embarrassed at how … obsessed I am with the whole topic of quilting. I mean actually quilting is one thing, what you get out of it, is a finished product that you can show what you have done with your time. But perusing quilt history books and delving into the history behind quilts and their historical context, well all it gives me is … pleasure or satisfaction; a feeling of connecting the dots. Ok, I guess I have lost my readers by now, getting rather off the topic here. 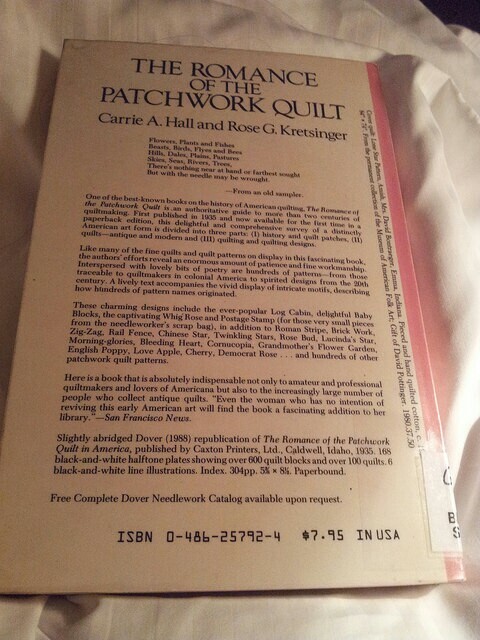 What I just wanted to say is that I really recommend that if you are interested in the history of quilting that you pick up this book at your local library or order it online through Amazon. I will be sharing a little of what this lovely little book has contained in future posts, so if I haven’t enticed you to reading it yet, perhaps I have another chance. For now, I will leave you with the little poem that is an introduction to the book. You just need to click on the photo to read it. If you have read this book and have any comments on it or if you would like to comment on this post or simply recommend any other quilt history books to me, please leave a comment or email me at ebbenflowz@hotmail.com.